BBQ Box is a monthly barbecue subscription box brought to you by Myron Mixon, a champion barbecue cook who’s starred on TLC’s BBQ Pitmasters and is the mind behind Jack’s Old South. Each month you’ll receive a custom recipe showing you how to use all of the items in your box. The Products: Grilling rubs, sauces, and snacks. Ships to: Worldwide. Shipping costs vary by location. 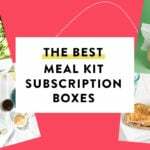 Check out all of our BBQ Box reviews and more meal kit boxes in the Food Subscription Box Directory! Each month, you’ll receive a recipe card that notes how to prepare a specific dish that is apart of the theme of your box – This month’s theme is Smoked Turkey. A few of the ingredients are already in the box, but you’ll still need a few others and a trip to the market. I like that BBQ Box sent this seasoning, I’m always looking to up my spice game and this one is pretty good! This spice is meant for Turkey, hence the theme, but I can see myself using this on other white meats like pork or chicken. The spice itself isn’t overly salty, which I really appreciate and is a really nice blend of garlic, sugar, and salt. I look forward to testing this out on my next bird! I’ven never injected any meats before, so this will be a new experience for me! The creole butter marinade is quite liquidy, mixed with spices but isn’t overly spicy, so everyone can enjoy. The packaging suggests that the best meats for this are turkey, chicken, and pork, all of which are meats I eat on a regular basis, so this will surely get put to good use! I read a few reviews online about this marinade and from what I’ve gathered, the general feedback is very high! I’m a huge jerky fan, so this turkey jerky was a great addition for me in this month’s box! The jerky is pretty tough in texture, so you really have to chew it, but the overall taste is worth it! The jerky is quite buttery, which is something I haven’t had before and the spices aren’t overly smokey or spicey, making the taste not stay in your mouth too long after you’re done. Pro Blend Gourmet Wood Chips, 8 0z. sample – Retail Value $5? I received a sample size of these wood chips and was unable to find this size on their site, so my value is an estimate. I’ve never used wood chips before as I use a gas grill, but I guess it never too late to start! The chips are recommended to be soaked in water 30-45 minutes prior to use, then drained before placing on either charcoal or in your chip box for the perfect smoke. This is a little out of my comfort zone as I’ve never smoked meat before, but I look forward to testing these out. Verdict: I continue to be impressed with each BBQ Box sent. I think they do a great job of sticking to a theme and send quality products I wouldn’t normally purchase! The estimated value received in this month’s box is about $22 (not including the cost of the jerky), which is below of the cost of the box $24.99 + $8.02 shipping to PA costs. Coupon code 4PDKF988 will save you 75% off your first box, so I’d suggest this box for all meat lovers out there who would like to up their spice and BBQ game. Can you still get this box if you sign up today? 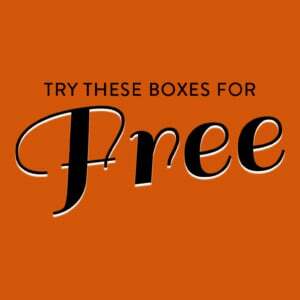 As of 11/12, no you can’t, but sign up here before 11/24 to receive the November box! Value Breakdown: This box cost me $33.01 ($24.99 for the box + $8.02 for PA shipping), which means that each of the 4 items in the box has an average cost of $8.25. What do you think of BBQ Box? How do subscribers rate BBQ Box? Do you subscribe to BBQ Box? Add your rating now! I have used chips on my gas grill. After soaking them I wrap them in foil and puncture some holes in the foil, for the smoke to escape. Works great and adds a nice flavor to the meat. The photo on the recipe card looks amazing… and now I’m starving!